Many congratulations to Kaylup Johns (Shrove Tuesday) and Harvey Ellery (Hurling Saturday) on their victories during two very wet Hurls. Although both occasions were damp to say the least, this did not detract from two very exciting hurls and two victories declared for County, the first back to back country wins since 2005. It’s that time of the year when our council tax bills have arrived for the coming year. As you may recall the Town Council reluctantly increased the precept last year as we prepared to take over the library from Cornwall Council. Now that we have reevaluated the costing and made some minor changes the amount you pay towards the running of the Town Council has gone DOWN by 11.2% on the previous year. Unfortunately the amount we all pay for policing has gone up by 12.7%. The Police and Crime Commissioner (PCC) stated in her very public announcements that if we, as a community, wanted more police on the ground there would be a significant increase. The pledge made by the PCC was that the funding would pay for 100 more officers across the force. So, at my quarterly meeting with the Newquay police divisional inspector I asked if the Police Community Support Officer (PCSO) who has been redeployed from our parish to another area is being replace. Imagine my surprise when I was informed that the answer was no! Apparently the Newquay police division is over manned by one officer so in fact there will be no extra officers for us. I will be writing to the PCC asking for an explanation as to why our PSCO is not being replaced, considering we all pay more for policing than for the our Town Council! The inspector also briefed me on an incident the occurred in one of our public houses that hit the headlines recently, that may have involved the use of the blade. Thankfully these types of incidents are very few and far between and I can assure you all that St Columb Major remains a very safe place to live. I sincerely hope those who brought shame on our community and much distress to the victims and their families are soon apprehended and dealt with accordingly. By my next report I hope to be able to bring you positive news on the future of the Youth club. It was very encouraging to hear the the appeal for volunteers to help with this years Christmas lights produced a very positive response from parishioners. The lights for 2019 will go ahead as usual and the Town Council will finance the event. Cornwall Council will shorty undertake a governance review of all Town and Parish Council. This review will look at parish boundaries, the number of councillors on each authority and the size of wards, I have made it clear I will not support any change to our parish boundary. We are unique in that we appear in the Guinness book of world records as having the largest playing area for a game due to our hurling tradition and I do NOT want to see any change to that and will oppose any if brought forward. 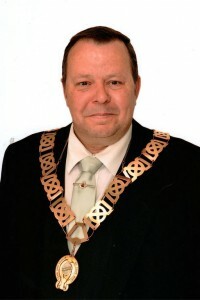 Cllr Paul Wills CC. Mayor of St Columb Major, Cornwall Councillor St Columb major Electoral Division.